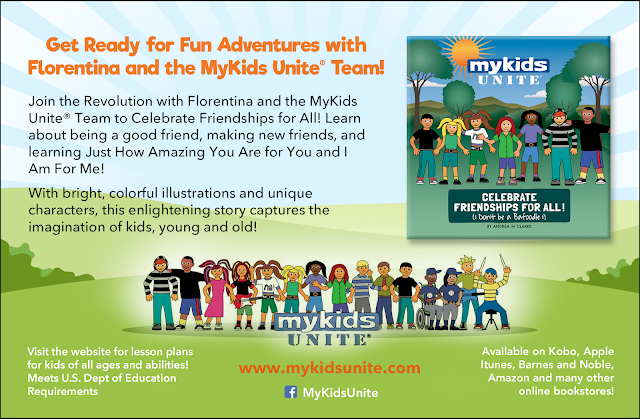 Florentina and The MyKids Unite© Team are Revolutionaries who Celebrate Friendships for All, Kindness to Animals and a Healthy Planet Earth! #RocknRoll Style! Their Musically Charged Missions Take Them on Adventures to Support the Environment, Social Causes and Freedoms to Live, Love and Create in Peace and Harmony with One Another! Revolutionaries stand up for radically new and innovative change that benefits the world, outside of the stronghold and boundaries of the establishment! • Be yourself, you deserve to shine for who you are! • Express yourself freely; art, music, science, nature...anything that inspires you! • You matter! Believe in your unique contribution to the world! • Embrace those who cannot speak for themselves! • Support a clean, green and healthy planet! • Be kind to yourself and all living beings! Traditional Print Book and E-Book Now Available Worldwide! Click here for where to buy! 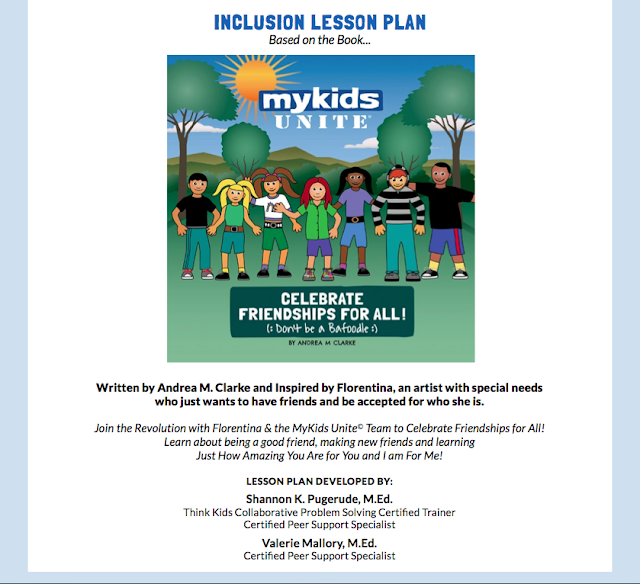 The MyKids Unite Inclusion Revolution Lesson Plan Is Now Available! 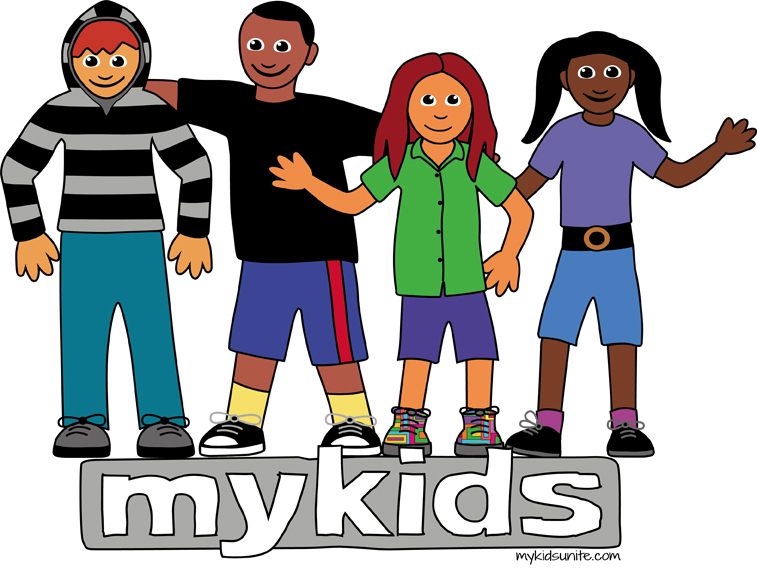 The Rockin' MyKids Band are in the studio working on their music videos!